Featured in the Nobody Hikes in L.A. guidebook! 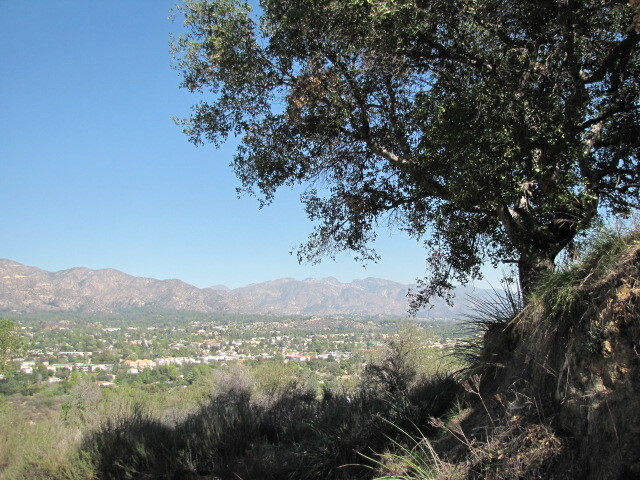 Location: Verdugo Mountains in northeastern Glendale. From I-210, take La Crescenta Avenue south for about a mile. You will pass Eilinita, one of the residential streets this hike visits. Just after La Crescenta Avenue curves to the left, take a right on Oakmont View Drive. Follow this winding residential street for about a mile to its end at Oakmont View Park. Park in the lot and follow the signs to the beginning of the trail. Parking is free. This enjoyable loop is conveniently located to Glendale, Burbank and La Canada. Its location on the north-facing slopes of the Verdugo Mountains makes it a good year-round hike (although you’ll want to plan accordingly on hot summer days. The scenic highlights include attractive woodlands and panoramic views of the San Gabriel Mountains. Follow Eilinita a short distance to Emanuel Drive and bear right, briefly climbing uphill. 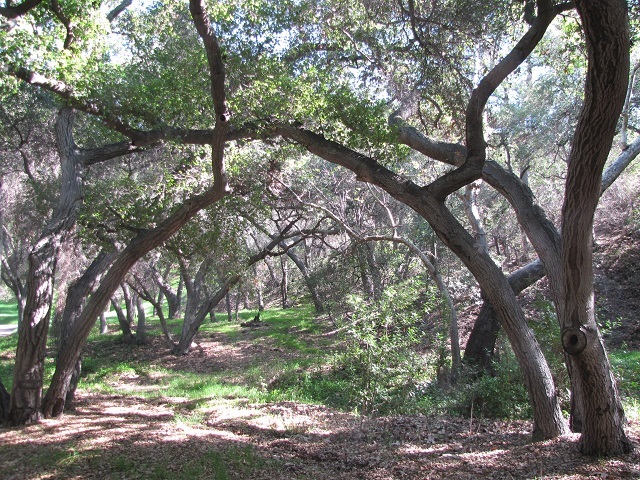 At the end of Emanuel (1.6 miles from the start) pick up the Edison Fire Road, which drops into another grove of oaks before beginning a rigorous ascent to return to the parking area. The trail climbs about 500 feet over the next 0.8 miles but your efforts are rewarded with some great views of the San Gabriel Mountains. At 2.4 miles, you complete the loop, returning to the paved road. Take a hard left and retrace your steps back to the car. Yeah, there are lots of cool little trails up in this area, and even in the summer, with the shade, they aren’t too hot. Thanks for reading.